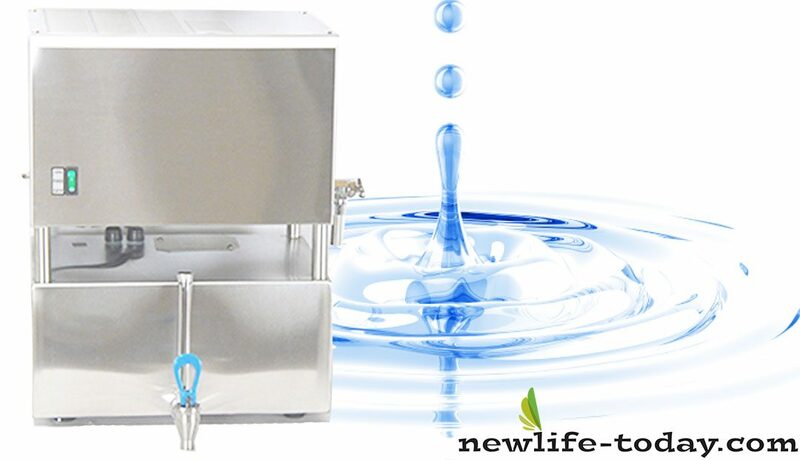 Buy this Pure Water Distiller With Reservoir at RM 4620.00 (20% off retail) when you become a member of NewLife International. 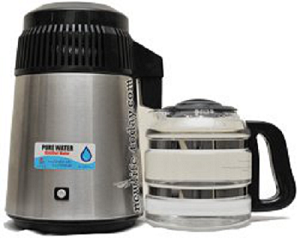 This huge Pure Water Distiller with Reservoir is used for families with few to many members. Holding capacity approximately 15 litres of distilled water before it stops distilling. There is a tube from the tap water leading straight into the machine, relieving you of the task of putting in tap water for distillation. The Distiller automatically detects when the volume of distilled water runs low, and begins distilling again. Distillers are great energy savers, and are very cheap. They can distill 1 gallon of water for about RM1.20! Its easy to calculate the savings. Distillers will boil water to completely remove contaminants like metals, nitrates, chlorides, hardness, and many more. 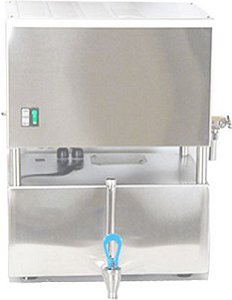 Steam from the boiled water is condensed to create distilled water giving pure water; however, some organic contaminants like chloroforms and solvents may escape with the steam. Distillers differ in their output and performance. Some distillers are built to give you a bigger volume of water. Big families can select a distiller that has a larger capacity. Customarily, you should monitor your day-to-day water intake. Then buy a distiller that can provide that daily amount of water. Distillers kill bacteria and viruses by heating tap water to boiling in a tank. The steam produced rises and leaves impurities behind. The steam enters condensing coils where it is cooled by air or water and converted back to water. Distilled water then drains into outside storage or is dispensed from an interior storage tank through a faucet. Storage containers may be glass, metal, or plastic. Each type of storage container is satisfactory when cared for as the manufacturer directs. Distillers are capable of removing aluminum, arsenic, barium, cadmium, chloride, chromium, copper, ?uoride, magnesium, iron, lead, manganese, mercury, nitrate, selenium, silver, sulfate, and zinc. Distillers are also effective in removing bacteria, giardia and cryptosporidium cysts, particulates, total dissolved solids, and turbidity. Some volatile organic chemicals, such as some pesticides, can vaporize with the heated water, recondense, and end up in the processed water. Water distillers can be used in various fields for various purposes like filters clean water to various extents for irrigation, drinking water, aquariums, and swimming pools. It can absorb chemical contaminants from water such as chlorine and pesticides. 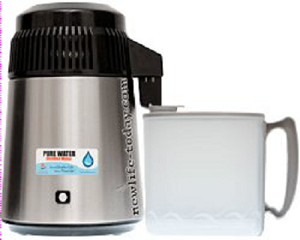 Choosing a well-fitted and correct water distiller is very much essential as these can be of many types used for various purposes. Like if your water comes with chlorine, chloroform, pesticides, organic chemicals or with impurities then it’s time to change your old water filter with new modern water distiller, which would delivered you clean and safe drinking water.